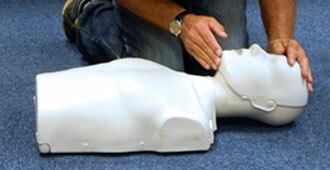 Tidal are an approved centre with Qualifications Network, Qualsafe Awards and Highfields Awarding Body for Compliance (HABC) to deliver a wide variety of Accredited Emergency First Aid Training Courses. We are unique in that all of our Emergency First Aid Tutors have real time experience having worked in the medical profession and these include Doctors, Nurses, Paramedics and Ex Military Medics. All tutors hold accredited teaching qualifications and are professionally trained and assessed to the highest standard. Our tutors will come to you and deliver in-house, onsite training for small or large groups. Our courses demonstrate value, quality, customer excellence and industry compliance and we are in an excellent position to support, nurture and above all, provide the highest quality training to your company’s workforce as experienced providers of on-site, face to face clinical and medical training courses to a broad spectrum of healthcare organisations. We are extremely proud of our excellent 100% feedback rating.